SUNNY COTTAGE IN TRANQUIL GARDEN SETTING. THIS LIGHT AND BRIGHT SUNNY COTTAGE WITH GARDEN VIEW HAS ITS OWN SEPARATE ENTRANCE AND ITS OWN ATTACHED GARAGE . 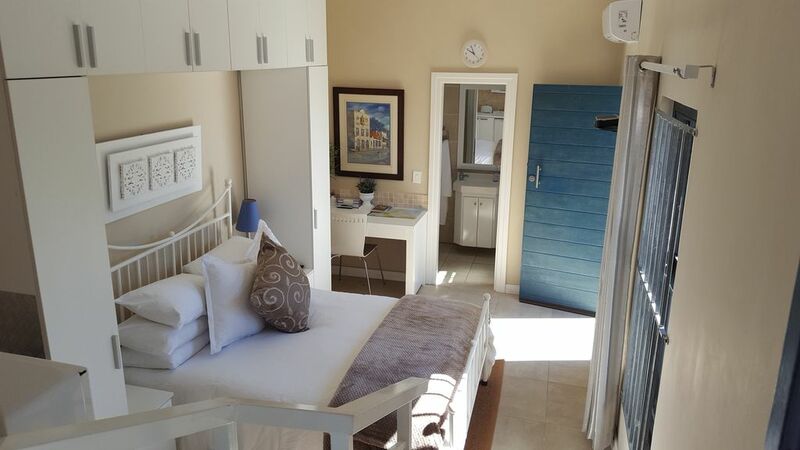 THIS 1 BED ROOM EN SUITE COTTAGE [SHOWER /TOILETTE] IS FULLY AIR CONDITIONED WITH ITS OWN KITCHENETTE [MICROWAVE / FRIDGE / KETTLE/TOASTER], AND FREE WIFI AND FULL CABLE TV CHANNELS, AND .BEDROOM WITH QUEEN BED AND PERCALE BEDDING. THE COTTAGE IS IDEALLY SUITED TO A SINGLE PERSON OR COUPLE , WISHING TO EXPLORE CAPE TOWN AND THE SURROUNDING COUNTRYSIDE . THE COTTAGE IS CENTRALLY LOCATED WITH A 3 MINUTE DRIVE TO THE CAPE TOWN CBD , AN 8 MINUTE DRIVE TO THE WATERFRONT SHOPPING CENTRE, THE TABLE MOUNTAIN AERIAL CABLE CAR , AND A 15 MINUTE DRIVE TO THE SEA POINT SALT WATER SWIMMING POOL AND WALKING PROMENADE . THE WINELANDS OF STELLENBOSCH ARE A 40 MINUTE DRIVE AWAY.